In addition, SETC added one more pick up point in Bangalore within next 2 days after adding St. John’s hospital bus stop for its services starting from Bangalore. 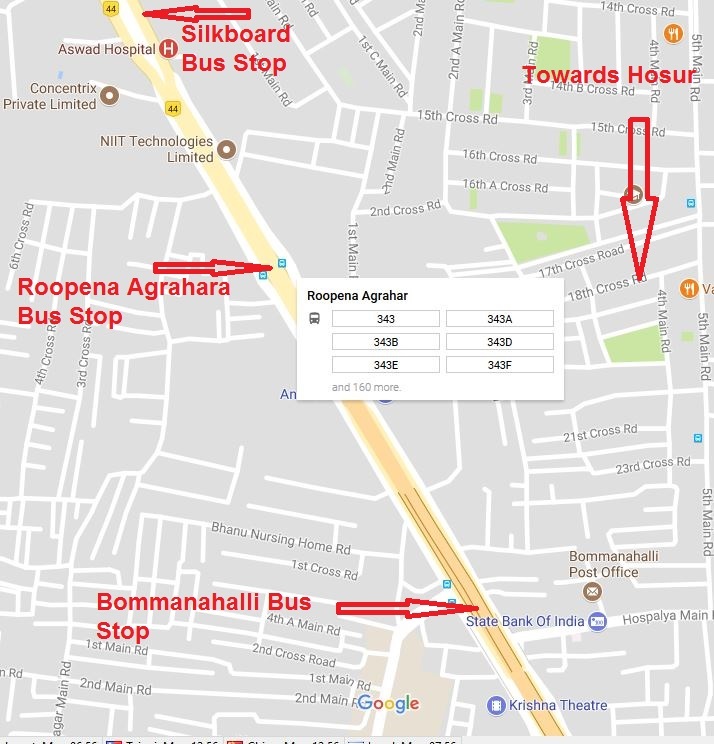 SETC added Roopena Agrahara as additional pickup point after St. John’s Bus Stop. For those who doesn’t aware of the point, here is the google maps location of the point. This entry was posted by yuvamanogmailcom.